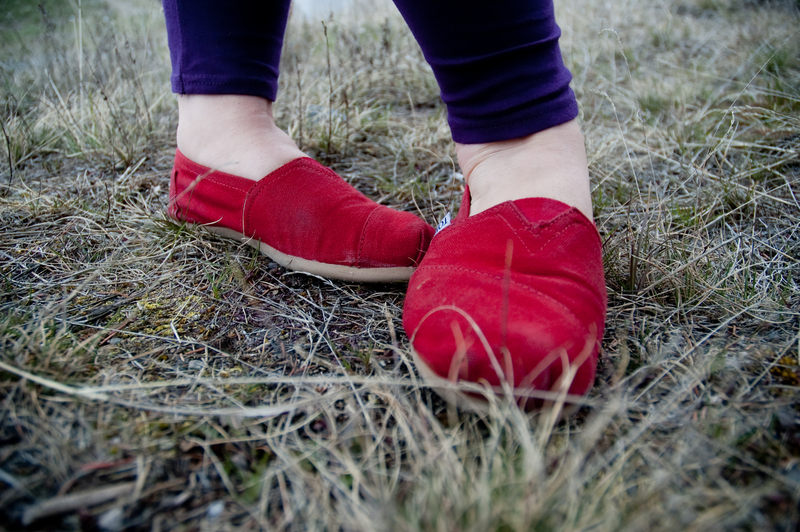 My friend Christina once prayed for a pair of red TOMS shoes. She wanted to have them…but not enough to buy them for herself. So she asked God. But red TOMS didn’t mysteriously appear at her front door the next day. A few years later, Christina had forgotten and moved on. Then a friend shared a peculiar thought with her. The friend said the other day she felt a strong urge to buy TOMS for Christina. “What color?” Christina asked. Even though the friend had shrugged off the idea and didn’t get the TOMS, Christina still heard God saying, “You forgot, but I will never forget what you ask for…even this small thing.” Christina eventually got her shoes another way and remembered how God gives importance to her most trivial desires. Like a good father, he listens to his daughter ‘s heart, no matter how small the request.